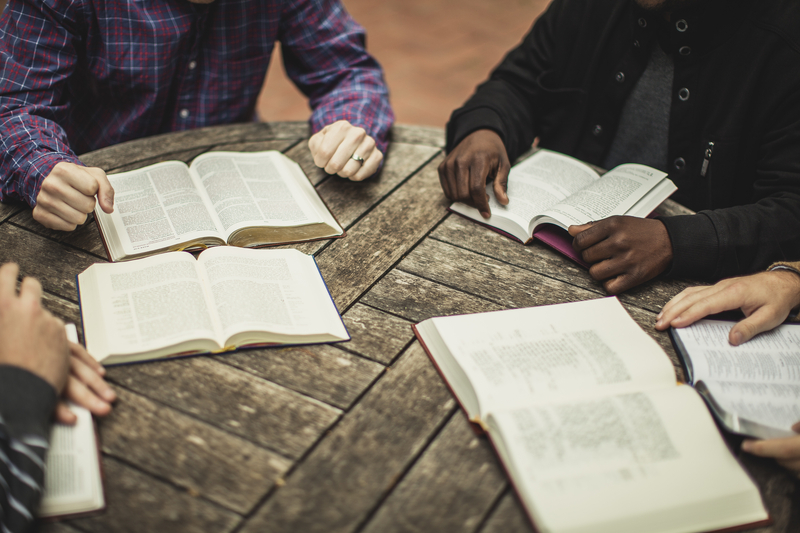 As you train yourself to identify and respond to these personality types your small group will flow better and accomplish their ultimate goal: drawing people closer to Jesus and to each other. A key to a healthy and happy small group is having free and open discussion with everyone participating equally. And nothing bogs down a great discussion like a know-it-all or an over-the-top needy person. Every group is bound to encounter distractions as its members try to grow closer to one another and Jesus. The most serious difficulties often come from within the group itself. That’s why it’s so important for small group leaders to learn to identify personalities that can derail small group discussions and to help the group as a whole keep moving forward with everyone contributing and participating. People rarely intentionally derail group discussions, but there are five personalities frequently found in small groups that can ruin group interaction unless the leader can handle them smoothly. DOMINATORS have an answer for every question and every answer seems to go on forever. Dominators are usually very knowledgeable and kind-hearted. They just don’t always have the social skills needed to help you keep things on track. Some dominators are able to talk for a long time without breathing at all. Or perhaps they’ve mastered the ability to speak while inhaling as well as exhaling. You need to have the courage to help the dominator wrap things up. One of the best methods is to simply finish the dominator’s thoughts for him or her then quickly allow someone else to speak. What a small group leader can do: The secret to dealing with dominators is to remember that the group is usually desperate for the facilitator to do something. You should begin by working to draw others out. Look for a quick breath, no matter how short, to jump in and allow others to contribute. Dominators aren’t the enemy. In fact, dominators will bring profound points to the conversation. Turn dominators into allies by talking to them after the get-together. Compliment the dominator’s quick thinking and openness, explain the goals for drawing everyone into the discussion, and ask the dominator to help draw out everyone during future discussions. HIDERS are easy to ignore because they never bother the other group members. In fact, they’ve become experts at being ignored and missed. Hiders need very gentle coaching and encouragement to start allowing others to get to know them. What a small group leader can do: Most hiders feel afraid of speaking in front of groups, so help them break the ice by sharing in pairs. Mix the pairs up so the hiders have a chance to get to know everyone in the group. Remind the group often that it needs everyone’s contribution to grow. SCOFFERS have the greatest potential to ruin a small group. Criticism is contagious and it can paralyze an inexperienced facilitator. The secret to dealing with scoffers is to remember that their bark is always worse than their bite. Some scoffers are in such a habit of being negative that they criticize things they actually enjoy. Remember that the complaints of scoffers are usually more about their own perceptions and hurts than the events they’re criticizing. Don’t ever let a scoffer derail an activity, and never take the complaints personally. What a small group leader can do: Humor is a great tool for reaching scoffers because it diffuses the power of their complaints. For example, if a scoffer complains that he or she is sick of pair shares, a skilled facilitator might say something like, “We’re doing it anyway, so get ready. For an extra treat, you can be my partner.” With consistent care and nudging, a scoffer can actually become an excited and motivated group participant. If the scoffing is extreme, have an honest conversation with the scoffer away from the group that helps him or her see the effects of the negative comments and how they interrupt your efforts for the group. REVEALERS have a tough time knowing how much information is too much information. Revealers often bring details to their stories that leave group members feeling embarrassed or unsure of how they should respond. What a small group leader can do: The secret to facilitating with revealers is to help them find the proper context for the things they’d like to share. You could respond to a revealer’s discloser by saying something like, “That must have been very painful for you. That’s the kind of thing we should discuss one-on-one. Let’s talk after the get-together so I can pray for you.” Known for being needy, revealers work best with facilitators who are very direct and very gentle at the same time. PROBLEM SOLVERS have a tough time seeing others in pain or confusion. With great intentions, the problem solver tries to fix other group members, often offering pat answers and solutions. Remind your group that each friend is in the process of discovery and needs time to work out his or her questions. What a small group leader can do: If a problem solver gives a pat answer that’s received as judgmental or insensitive by a group member, don’t panic. Quickly respond by showing empathy for the person with the problem or question. You might say, “I’m sorry you’re going through that. Keep sharing and struggling forward. We’ll do our best to support you along the way.” If a problem solver doesn’t seem to catch your hints and redirection, talk to him or her after a get-together. Tell the problem solver that you appreciate his or her wisdom. Then remind the problem solver that you want everyone to have the freedom to talk, discover, and even struggle through things. This article has been reprinted by permission of Church Volunteer Central. Karl Leuthauser directs the research and development division at Group Publishing. He and his wife, Gina have led or been involved in some sort of small group ministry almost continually for the last 15 years, and he served as the small group pastor at his church in Fort Collins, Colorado.